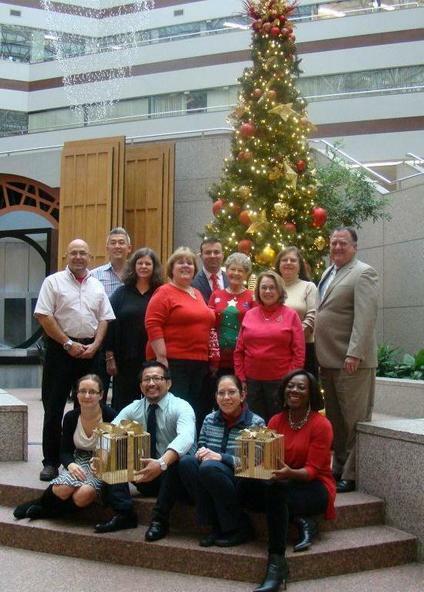 Happy Holidays From SBA Massachusetts! 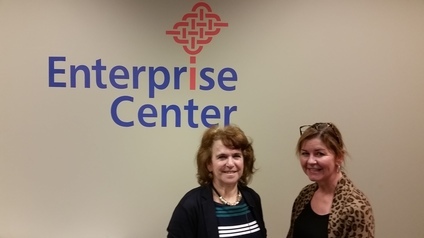 On Friday December 4th, the Enterprise Center at Salem State University held a workshop titled, "How to Write a Competition-Level Business Plan" to help launch the 2016 North of Boston Business Plan Competition. Send Holiday Cheer by Nominating a Business TODAY! We need your help to honor Massachusetts Small Businesses for the 2016 National Small Business Week Awards! Nominations should be sent to us by January 1st; completed packages are due January 11 at 3:00 p.m. EST either in the portal or at the Massachusetts District Office. To nominate an individual or entity for these awards, just fill out the nomination form here and email it back. That's it! If there are any questions, please contact Michele Meade at michele.meade@sba.gov. I AM KRÉYOL is a company that encompasses all things fashion; with a ladies clothing line (Kreyol), and styling services for magazines and music artists. WatchRx is building an All-in-one watch dedicated to help your aging parents take their medication on time. Wonder Crew introduces dolls to boys that come friendship and adventure ready. Emotional intelligence and empathy are key ingredients to happiness and life success. Toys have the power to impact child development. Currently toys that encourage connection and kindness are only marketed to girls -- sending the message to many boys that this kind of play is not for them. Wonder Crew is here to change this! Follow Competition Instructions and business plan outline (if they offer one) to a T! Don't disqualify yourself, by submitting your package even 1 minute after the deadline! Follow Formatting Requirements - including number of pages for plan, financials and other requirements! Judges need to review every submission package under the same criteria for fairness. Best business plans do not have to be too long. Keep it clear, concise and to the point. Clearly identify your competition and competitive advantage. Switch your thinking to the customer's point of view and shopping habits. For example, if you're starting an ice cream shop, you're not only competing with the local supermarket - but also the the local CVS. It's important to research and identify your target market as well as your overall industry. Resources such as the Kirstein Business Library at the Boston Public Library, U.S. Census Bureau and SBA's SizeUp Tool can be helpful. Know your numbers inside-out, everything in your company is tied to numbers! For example, your Marketing Campaign - What will it cost you? How much do you think it will bring in? Perfect your pitch with a 1-minute video. Break it up into four 15-second segments. Have four key topics and write down 2 sentences about each. 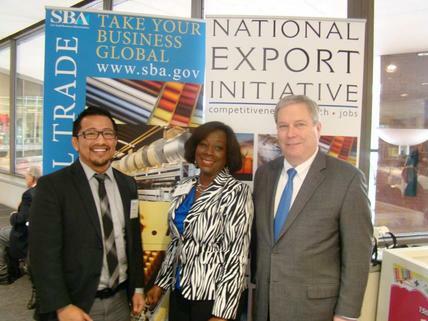 On Friday, December 11th – SBA Massachusetts Office participated in the Massachusetts Export Center’s Annual Export Expo; a forum for exporters to connect with a wide variety of export resources available in Massachusetts while learning about issues that impact their day-to-day export operations. Exhibitors included law firms, banks, freight forwarders, consulting firms, translation firms, customs and compliance automated solutions providers, and various government and non-profit organizations serving the export community. In case you missed it, visit the MA Export Center Expo page with a complete listing of sponsors and exhibitors from the event. The STEP Program is intended to help offset international business development and related marketing costs for small businesses. This year's grant application period runs from November 2 ,2015 to January 4, 2016 at 5pm. Grants under the STEP Program will be capped at $8,500 per business to reimburse for costs associated with projects, activities or services undertaken during the period October 1, 2015 to September 30, 2016. Each grant recipient will be required to provide a match to cover at least a portion of the total approved cost for any project, activity or service (the "Match"). New-to-export firms (exporting 3 years or less with export sales at 10% or less of total sales) have a 25% match requirement and all other firms have a 40% match requirement. 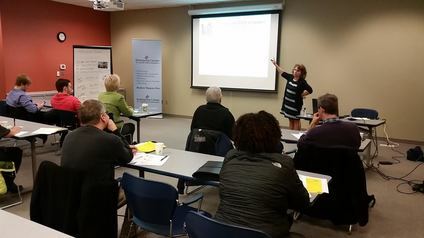 Competition Training Session #2, taught by Margaret Somer, Small Business Development Center. 8:30 – 10:30 a.m. at the Enterprise Center. Competition Finale! Finalists present to judges at Grand Finale between 3:00 – 6:00 p.m. at the Recital Hall located on the Central Campus at SSU. 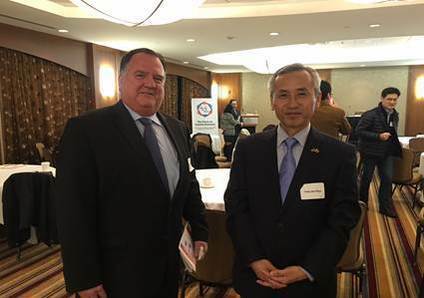 On December 14th, District Director Bob Nelson participated in an event hosted by the Korean Consulate General in Boston - "3rd Forum on Creative Economy: Vitalizing Business Opportunities for Korean-American Entrepreneurs: Challenges and Opportunities". Pictured above is Bob with Consul General Ohm Song-jun. 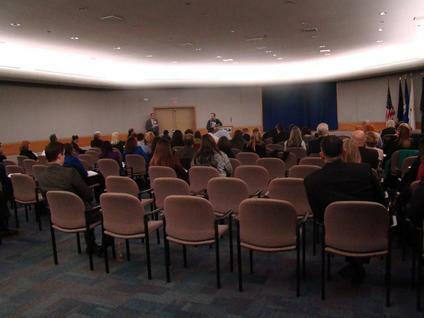 On December 9th - SBA Massachusetts held a "Reverse Matchmaker" at the district office to connect small businesses with procurement representatives. 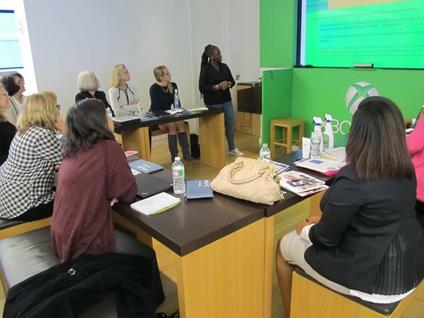 Each firm had 5 to 10 minutes to present their company to a group of Contracting and Small Business Specialists from federal agencies and large prime contractors. For more information about contracting programs, feel free to reach out to David Polatin. 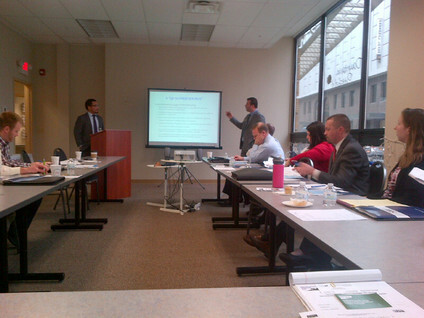 On December 10th - Massachusetts Lending Specialists, Carlos Hernandez (left) and Ili Spahiu (right) conducting a training, “SBA Loan Programs Demystified”, to a group of Berkshire county lenders at the Berkshire Regional SBDC center. If you would like to inquire about our lending team visiting or to schedule a training, please contact Nadine Boone. We are excited to announce a NEW webinar series will be delivered in 2016! Please be on the look out for the series of topics in the next Education Calendar.